If you've tried and tested all of Hong Kong's best spas and places to pamper youself, head on over to our sister SAR for the ultimate pampering experience. 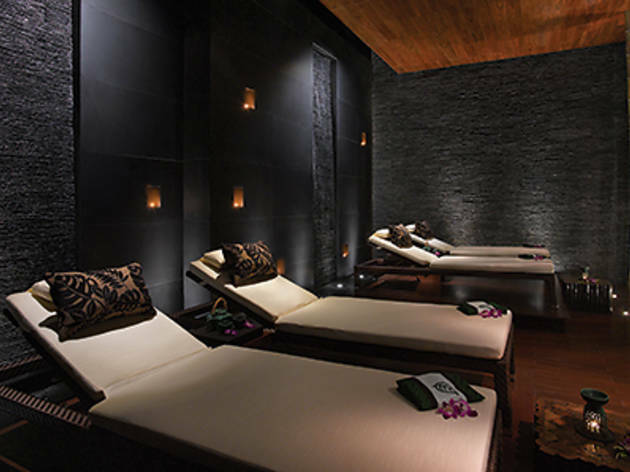 Loaded with top notch hotels, Macau boasts some of the best spas in the region. If you're in the area, or just planning a weekend getaway across the waters, we've got you covered. 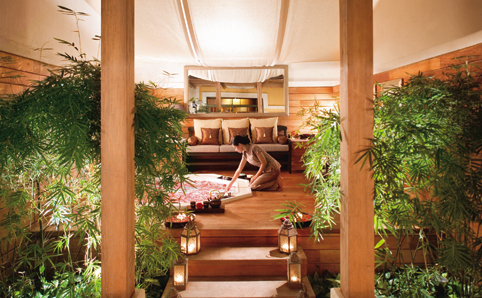 With surroundings evoking nature, Banyan Tree Spa is the modern embodiment of ancient Asian techniques and aesthetics. The signature treatments use nature's gifts, such as the Royal Banyan featuring a herbal pouch massage with sesame oil, as well as hot stones and a luxurious chrysanthemum body scrub elsewhere on the menu. 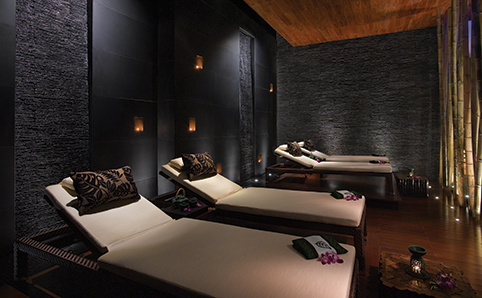 A blend of modern and classic elements, Crown Spa is a fully equipped haven for relaxation. From the sauna, pool and steam facilities to the fitness centre and beauty treatments, Crown Spa satisfies pretty much every craving. Under the care of Four Seasons' high standards, guests can enjoy the best of both worlds in the Four Seasons Spa thanks to a creative blend of techniques from Europe and Asia. Featuring treatments derived from such cultures as the Balinese, Polish, Thai and more, the treatments here will sure have you covered, from top to toe. Simply put, the Grand Lapa Spa is a veritable oasis in Macau. With lush greenery throughout and even a cascading waterfall, calm abounds at this spa. Private rooms feature their own gardens and you won't want to miss their intriguing Macanese Sangria Ritual, which uses the beloved drink to benefit the body inside and out. In true Grand Hyatt fashion, the entrance to Isala begins with beautiful art. But the beautiful hanging spiral is just the beginning of the craftmanship found at this spa; luxury and tradition abound in Isala's Chinese-inspired treatments, which number close to 50! The Lavender Health Club comprises a fitness centre and a spa. Located in the veteran Grandview Hotel, the treatments here are classic and affordable. Tucked away in the shopper's paradise that is the Grand Canal Shoppes at The Venetian, Malo Clinic is a serene escape that combines both beauty and health treatments. This medical spa has an attached hospital and dental clinic, so no matter the ailment – or desire – Malo Clinic lives up to the highest standards. 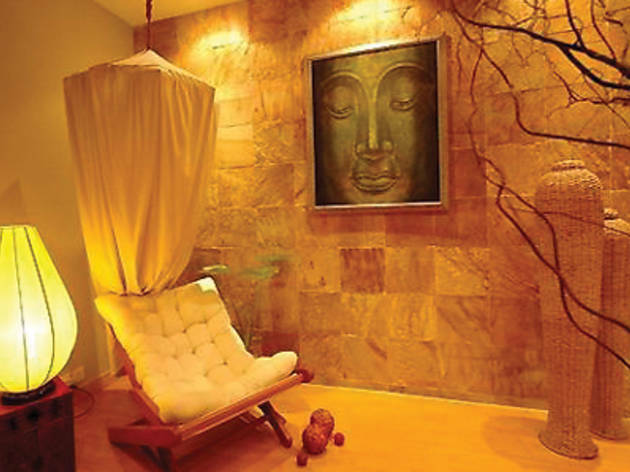 Despite all the action constantly going on across Macau, Nirvana brings things down to earth with its holistic treatments from different Asian disciplines. The spa's founder, who hails from Portugal, is a certified specialist in all manner of pan-Asian treatments, from grooming all the way to herbal, stone and pre-natal packages, so prepare to ascend right up to seventh heaven! Flying high above the action that is Macau, the Grand Emperor Hotel's Royal Thai Spa certainly lives up to its name. With an elegant and refined décor emulating a Thai aesthetic, the treatments here make use of the many herbs, oils and other ingredients applied. Expect the finest classic Thai massage at the hands of the expertly trained staff. A visit to Shine Spa begins with a personal consultation to determine the very best treatment. 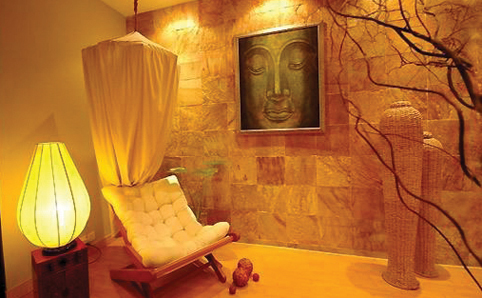 Taking cues from Feng Shui, as well as Western medicine, Shine caters to personal spa goers as well as larger groups. A must-try treatment is their signature Shine Champagne bath where you can literally sip away while immersed in the decadent drink.